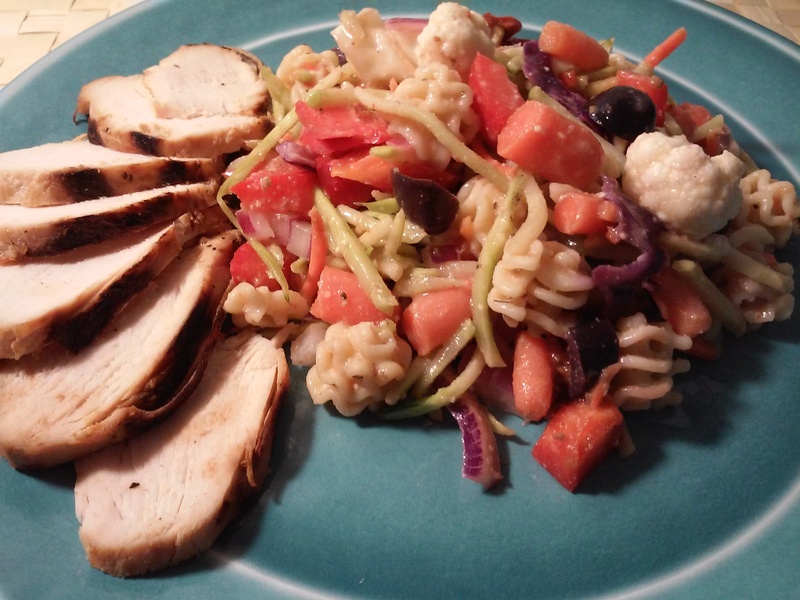 I will be doing the pasta salad tomorrow…did you cook the carrots first? Also since I have a few handfuls of different pastas can I mix them if I drop them in order of there cooking times? Also I have a few dressings with an inch in each bottle…what do you think about mixing them? Hey Pam, Thanks for checking out the post! I put the baby carrots in raw and cut them into smaller chunks. If you don’t like really crunchy vegetables, you could blanch them in boiling water for a minute or two and then plunge them into an ice bath to cool off. I say use what you have! No problem with different pastas as long as you are aware of the cooking times. For pasta salad, I usually cook them a minute or so less than the directions say so that they are a bit firmer. They hold up better in the salad. Definitely no problem mixing dressings! I had a zesty italian and another type of oil and vinegar based dressing and I used a little of both. Also if you are using oil and vinegar type dressings and need to stretch them a bit, try adding a little more oil and vinegar to one of the bottles and give it a good shake. The broccoli slaw is an excellent idea, as i am always looking to add veggies that aren’t big chunks! Hey Dave, I was happy with that addition! The slaw holds the dressing well and still stays fairly crunchy even after sitting over night. I think Rainbow slaw would work well too!